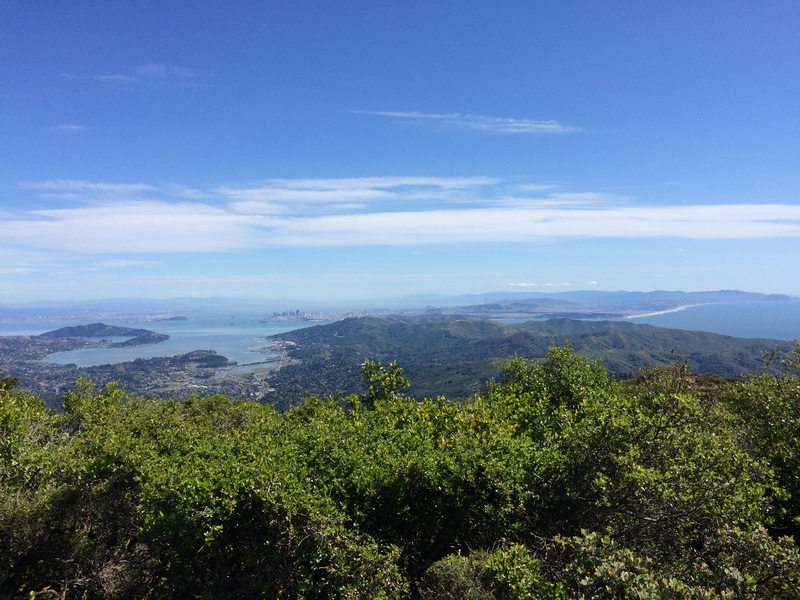 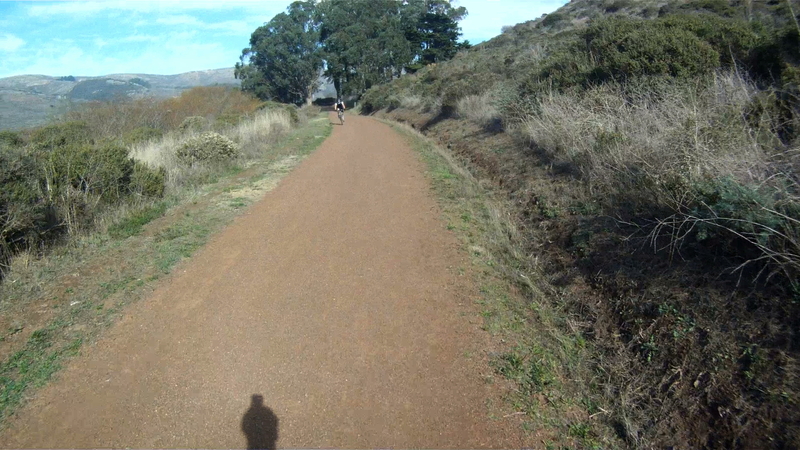 If you are up for a challenge, the Miwok Trail adds a degree of difficulty to your ride with its technical climb out of the Tennessee Valley back towards the Marin Headlands. 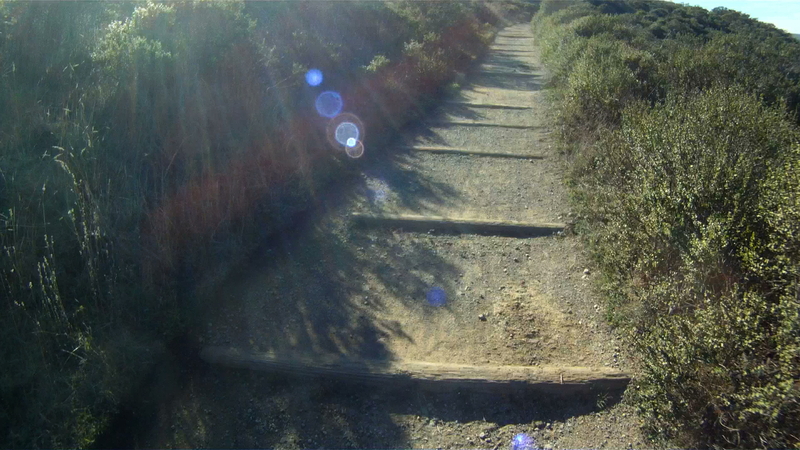 With its horse trail stairs and deep ruts, this is no trail for beginners. 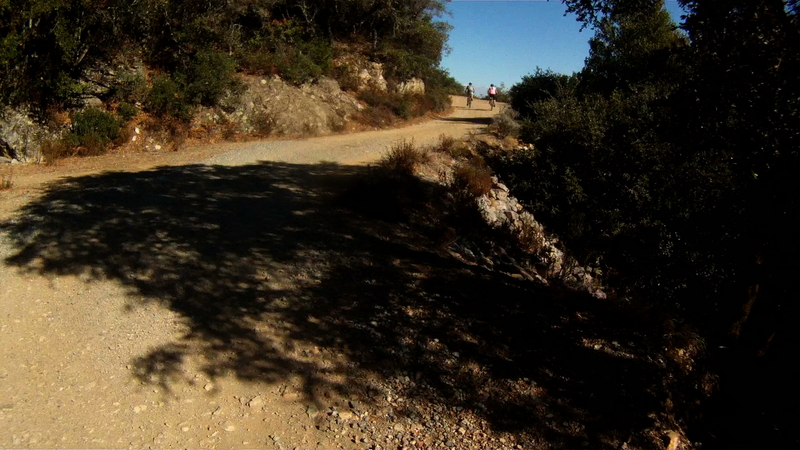 Conquering this trail gives you appreciation for your front shock and builds your climbing prowess. 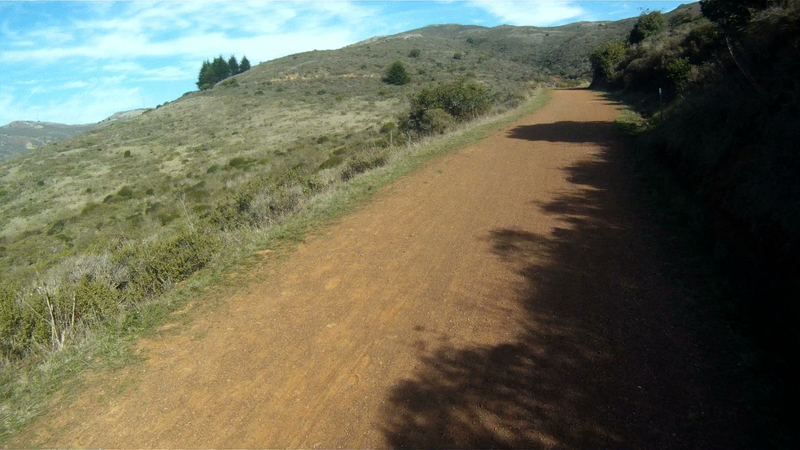 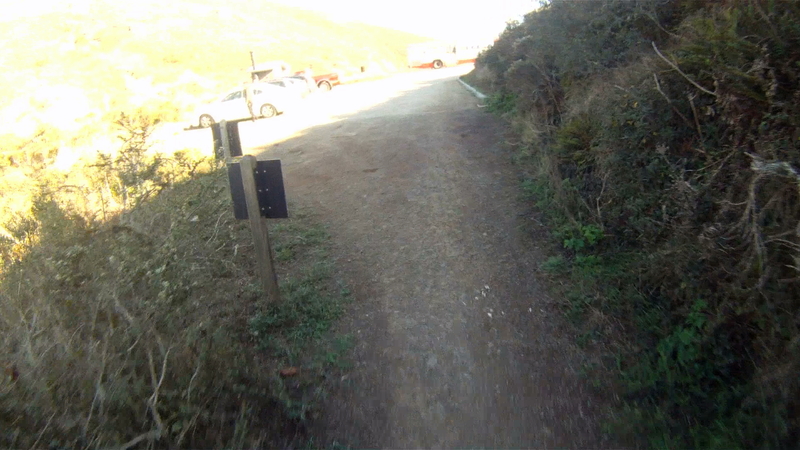 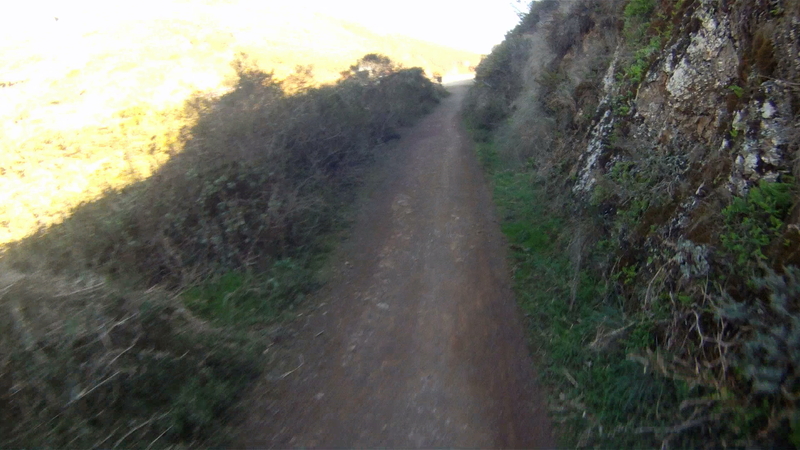 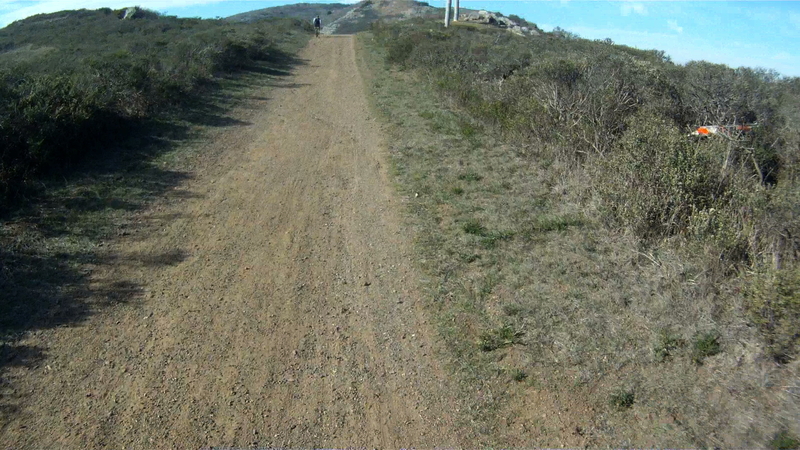 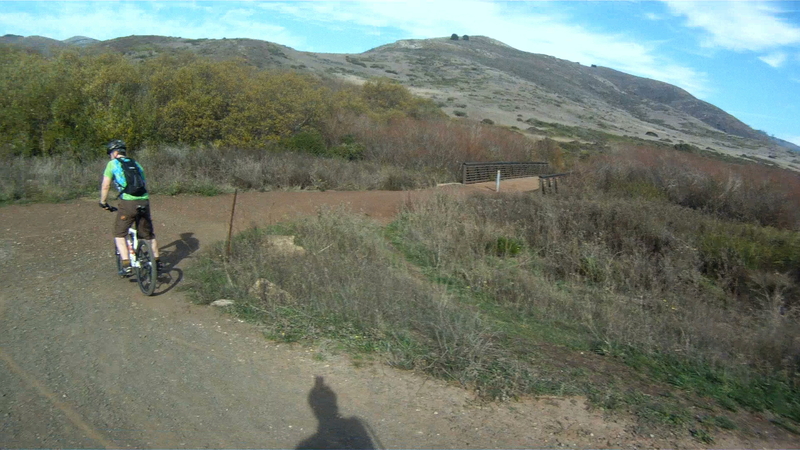 Difficulty: This trail has a technical assent with stairs and a fast descent back toward the Marin Headlands. 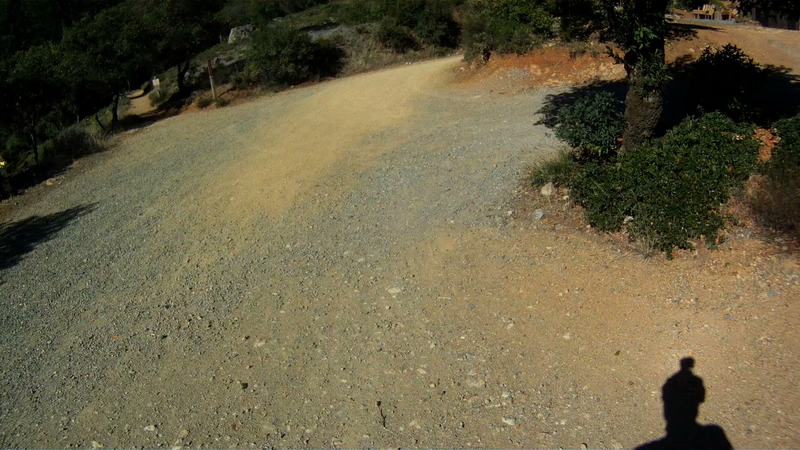 This is definitely an intermediate ride. 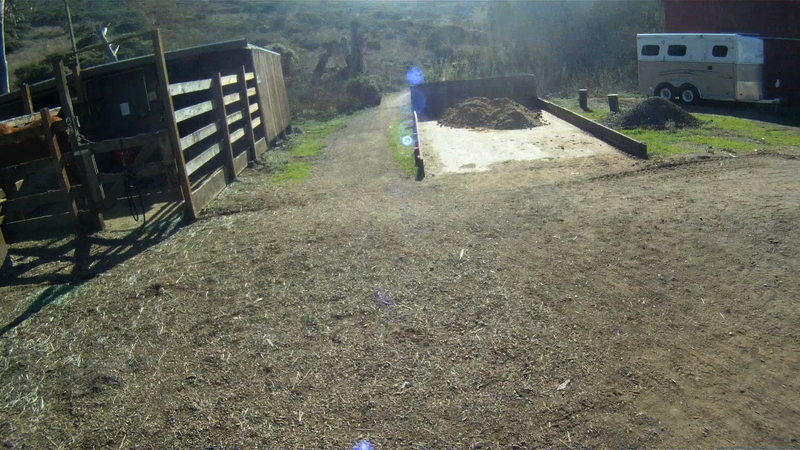 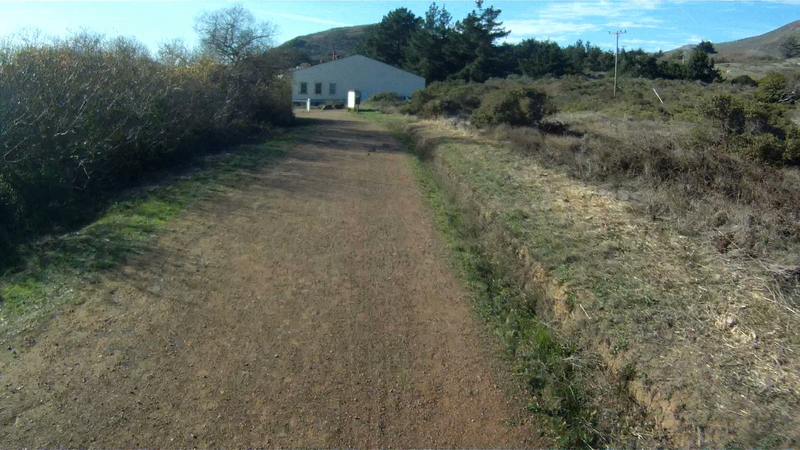 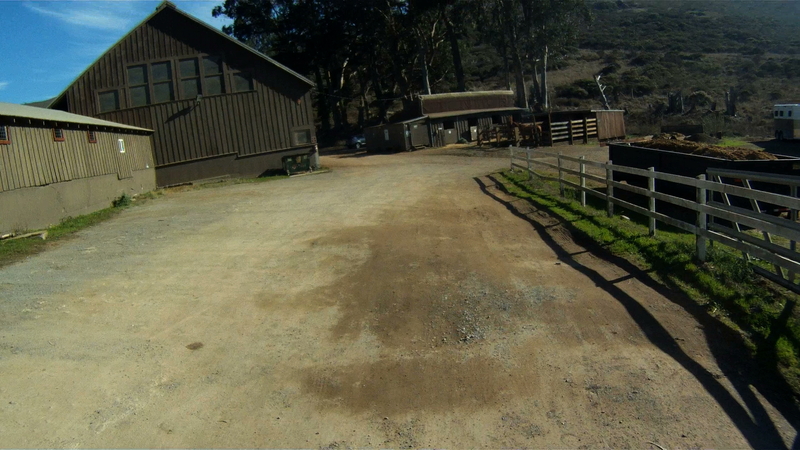 Starting at the Tennessee Valley parking lot, walk your bike through the Miwok Stables until you see the trail on the right next to the manure pit. 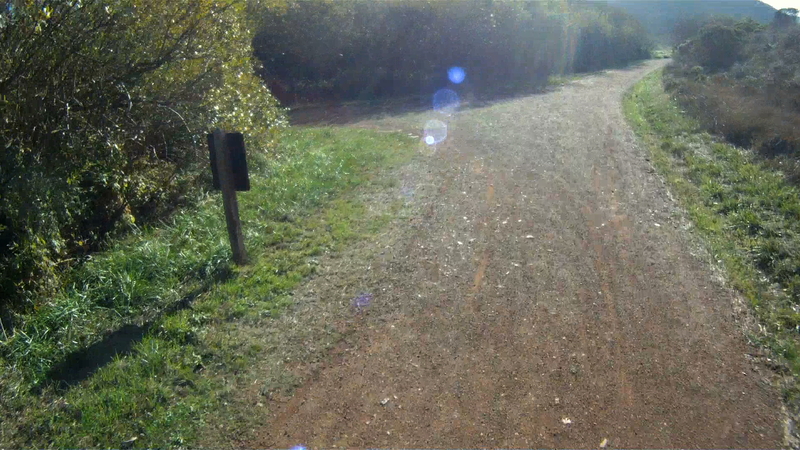 This is the beginning of the Old Springs Trail. 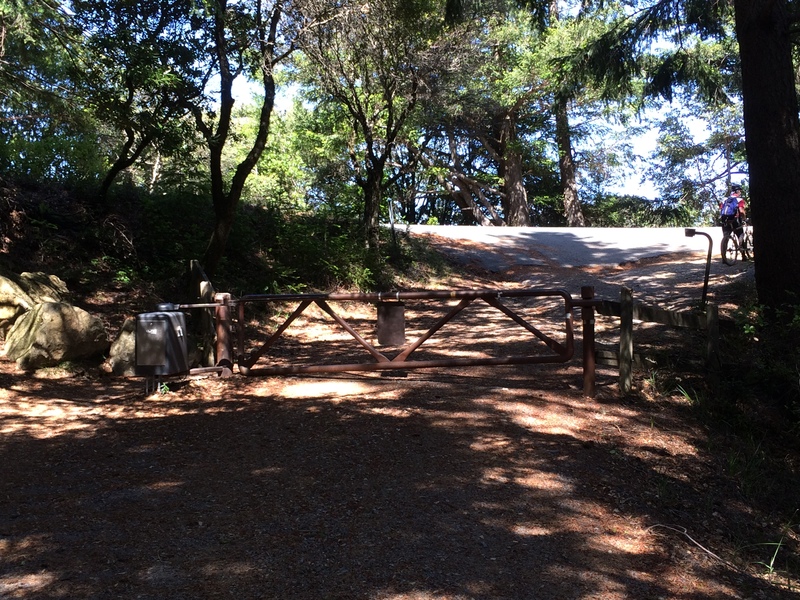 The Old Springs Trial has a series of stairs and bends as you climb the 1.3 miles to the Miwok Trail. 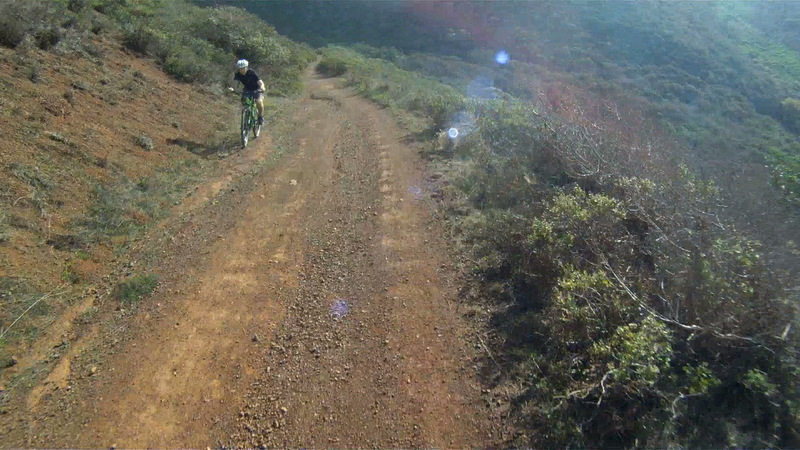 This trail can get technical in spots where the dirt gets larger rocks and the pitch increases. 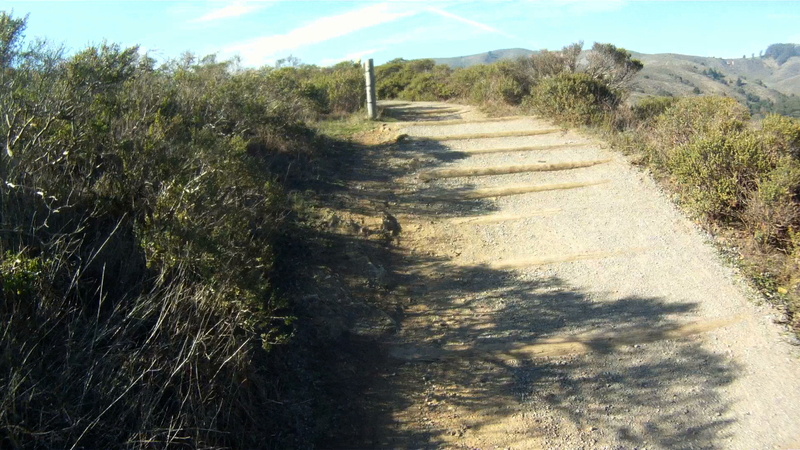 Continue to follow the Miwok Trail as it continues to roll over the wooden bridges before turing onto the Miwok Trail. 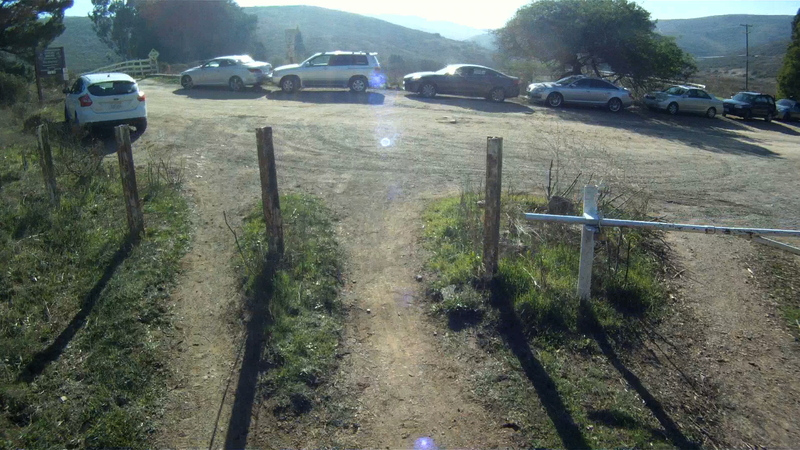 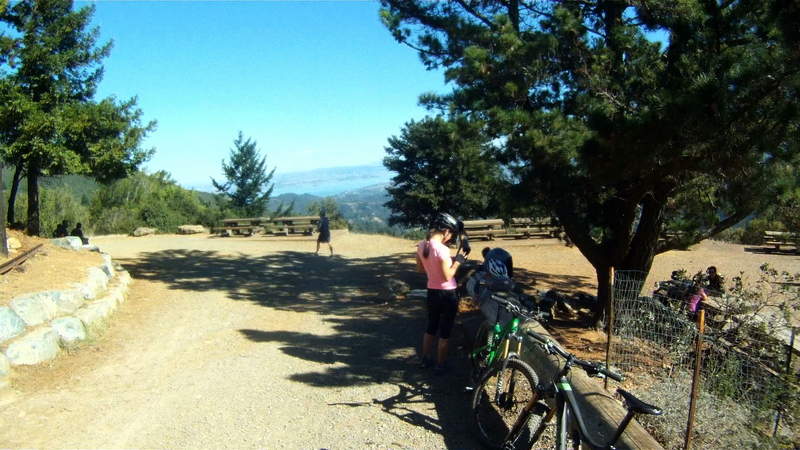 At the top of Old Springs Trail, make a right onto the Miwok Trial and start the descent. 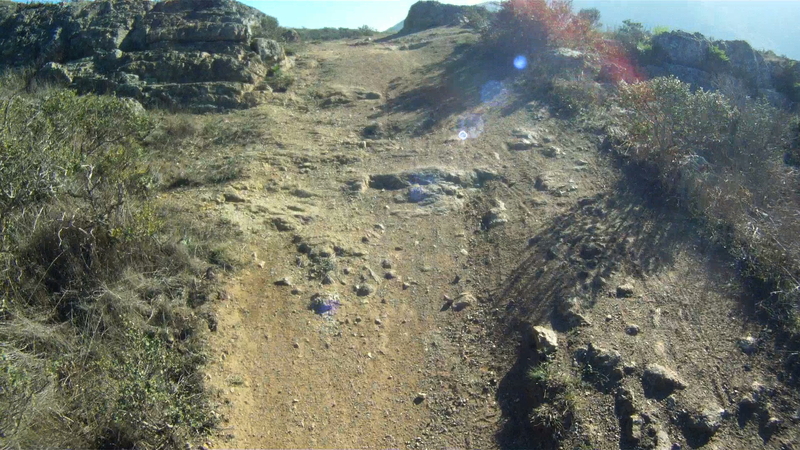 The descent is fast, so check your brakes and stay in control. 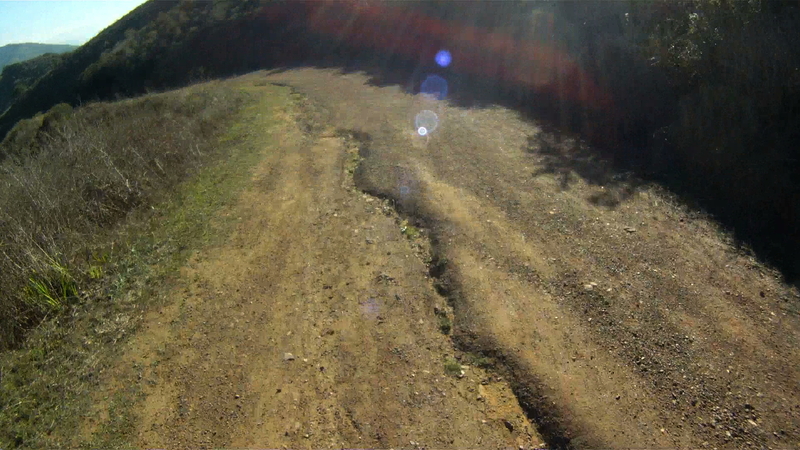 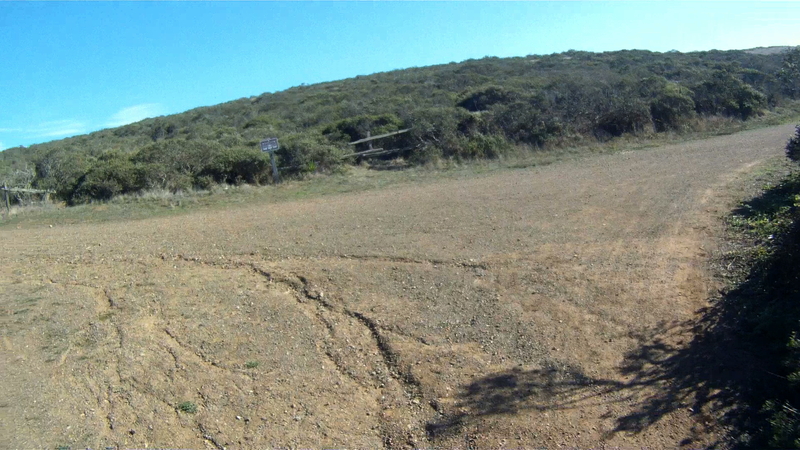 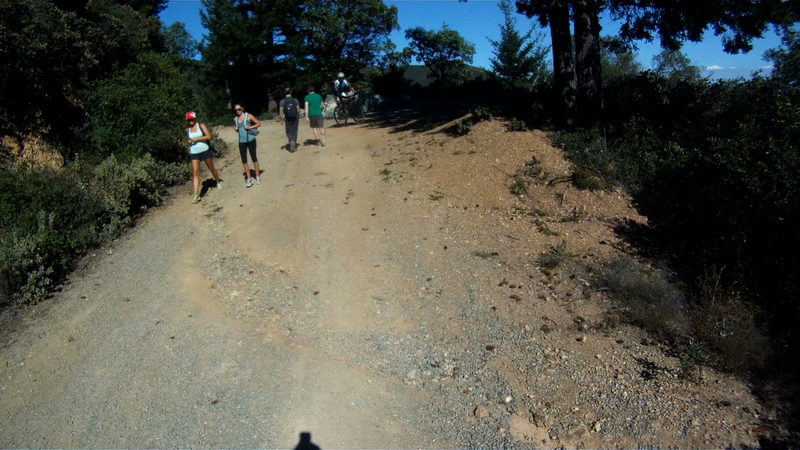 Watch out for the deep ruts and hikers on the descent as well. 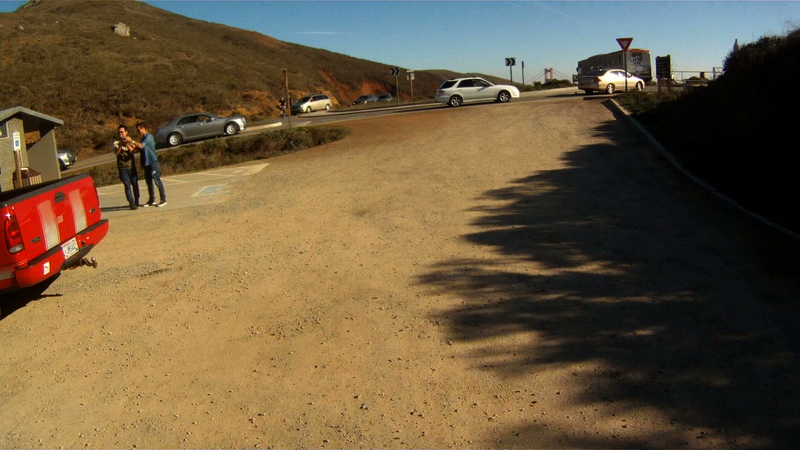 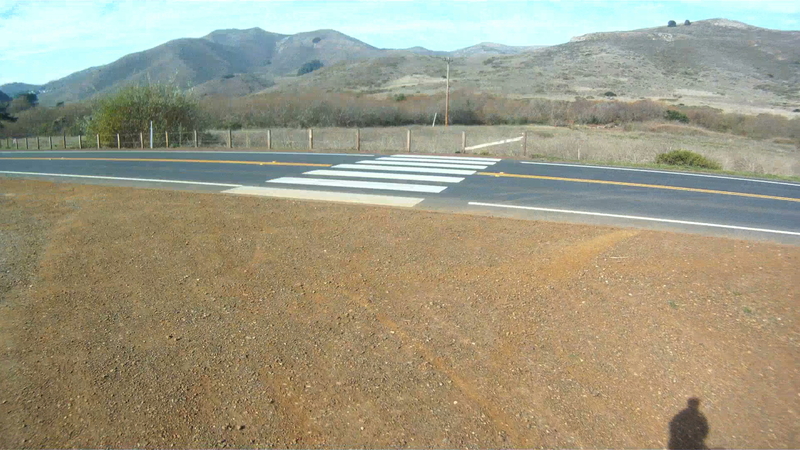 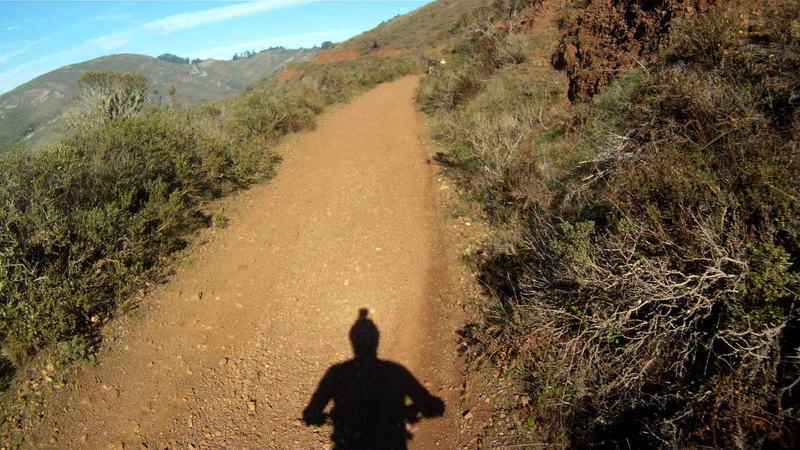 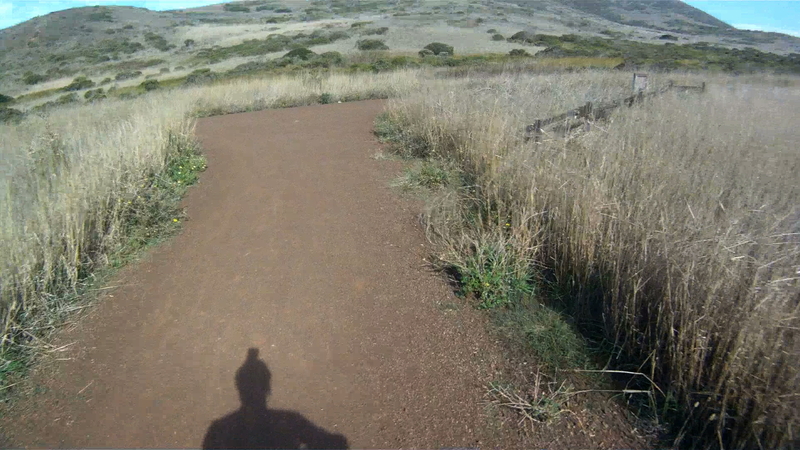 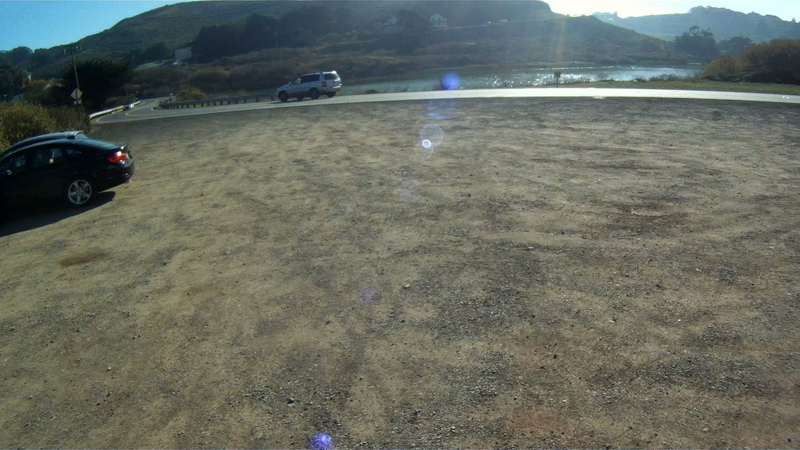 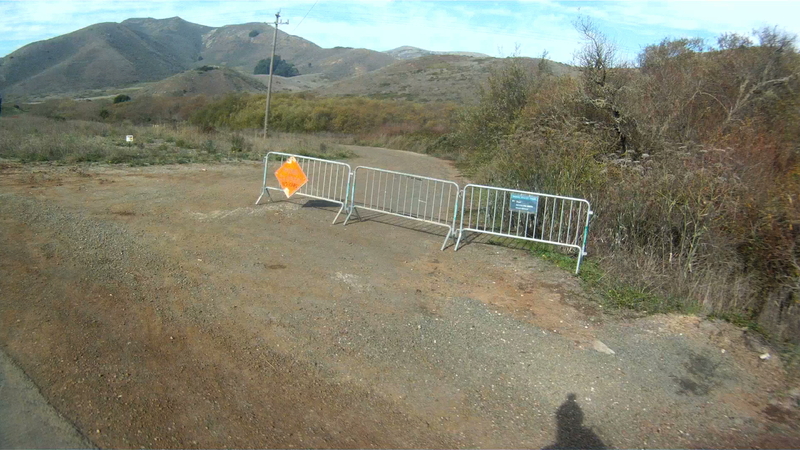 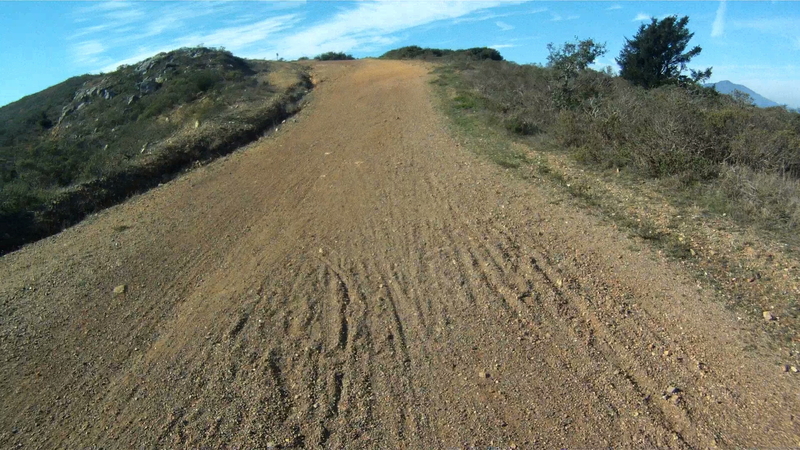 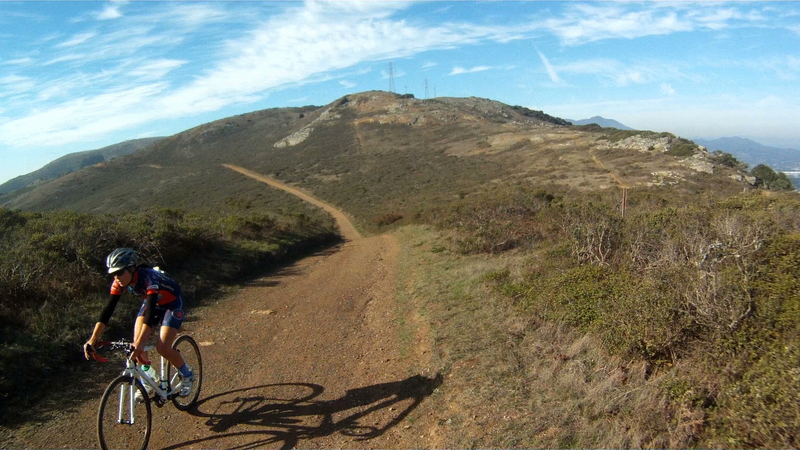 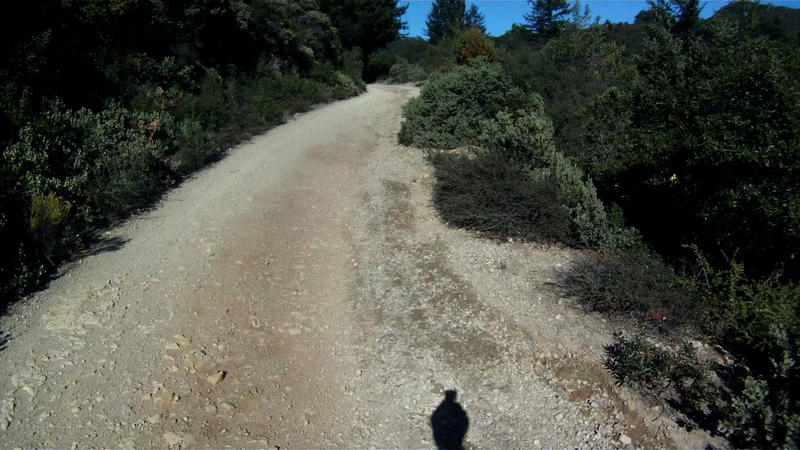 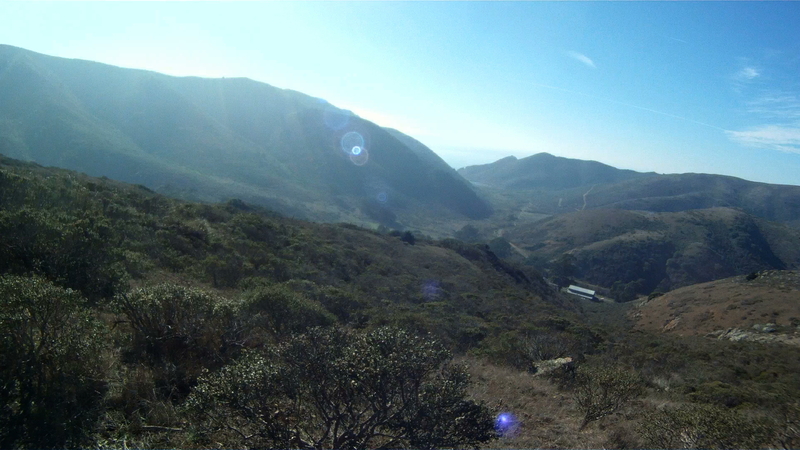 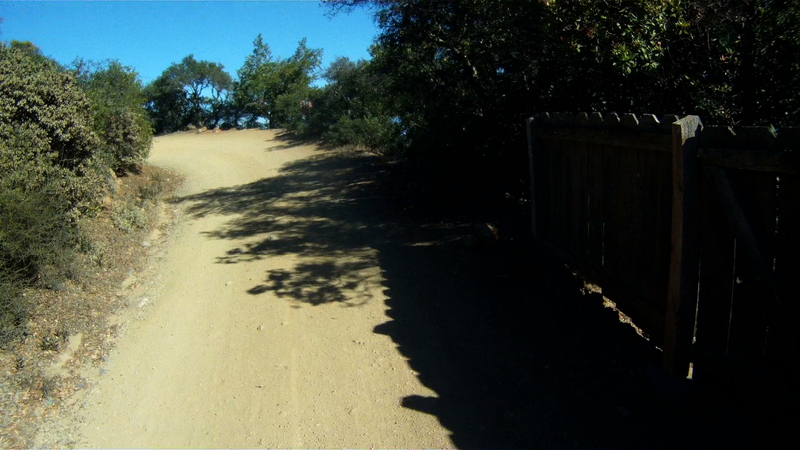 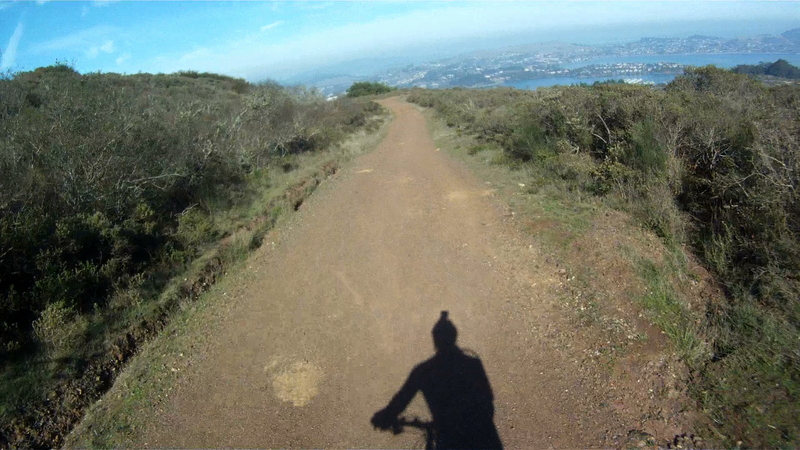 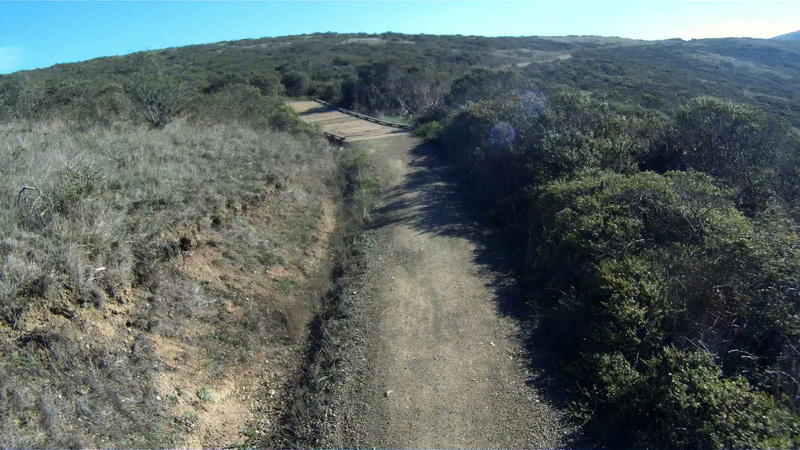 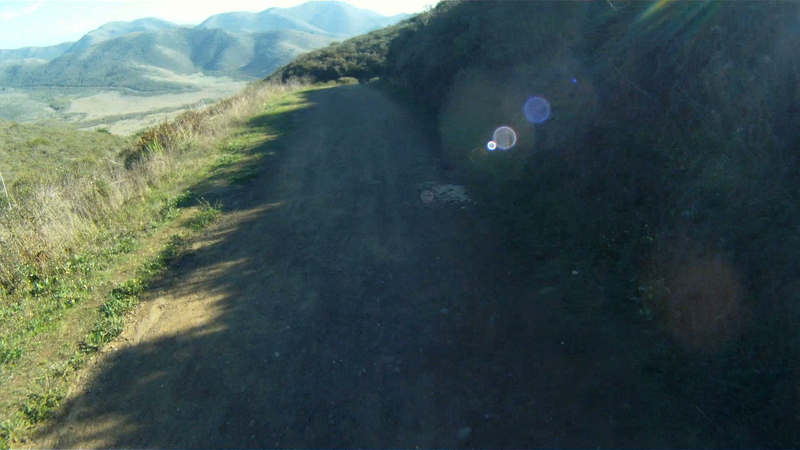 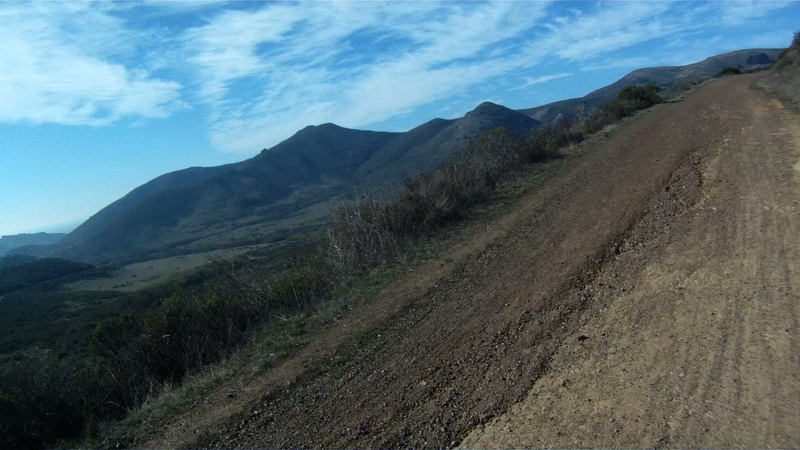 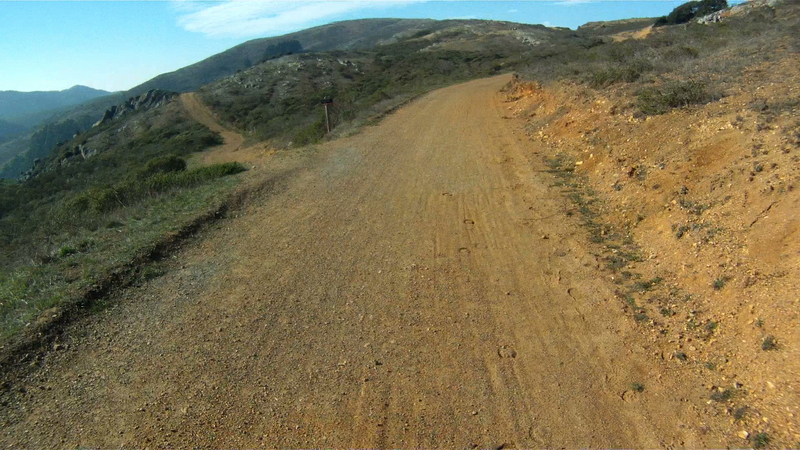 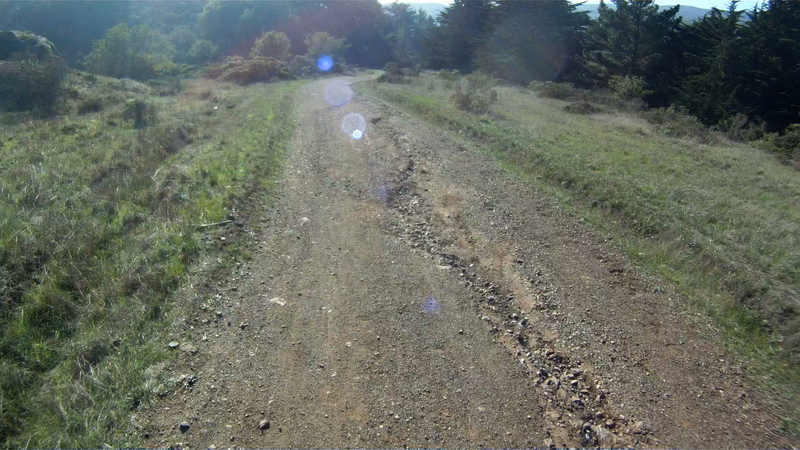 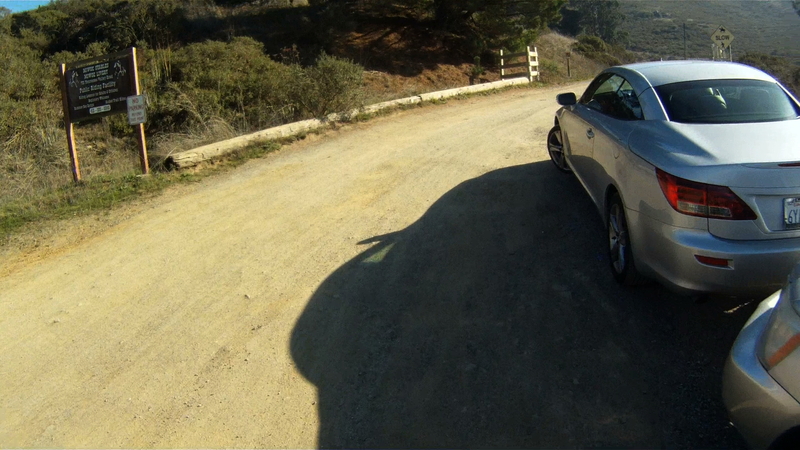 As the descent flattens out, watch for a turn to the left to return to the Bobcat trail and the Marin Headlands. 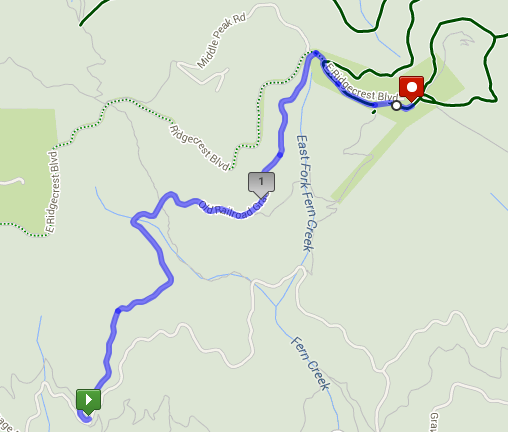 The left turn is 2.75 miles from the start. 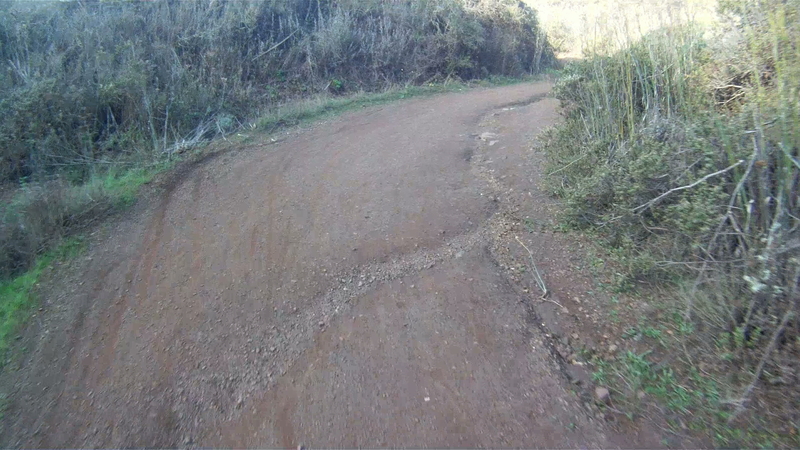 If you make the left, watch for a quick right just after a set of stairs. 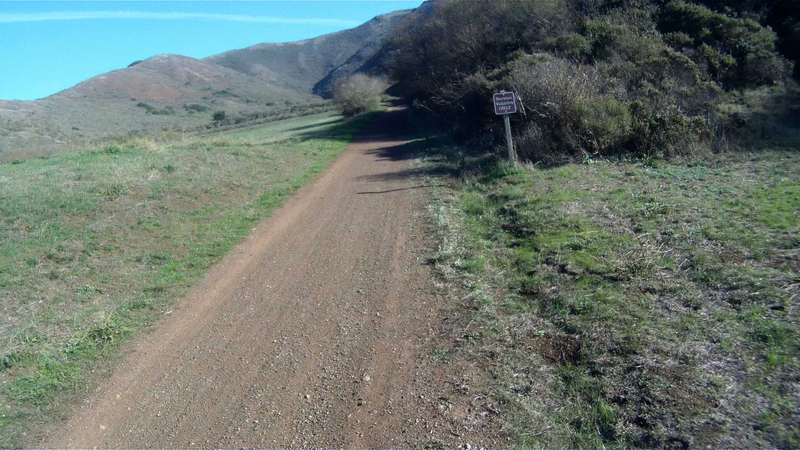 Follow this trail for a few hundred feet to the bridge and make a right, then a left on the other side of the bridge to return to Bunker Road. 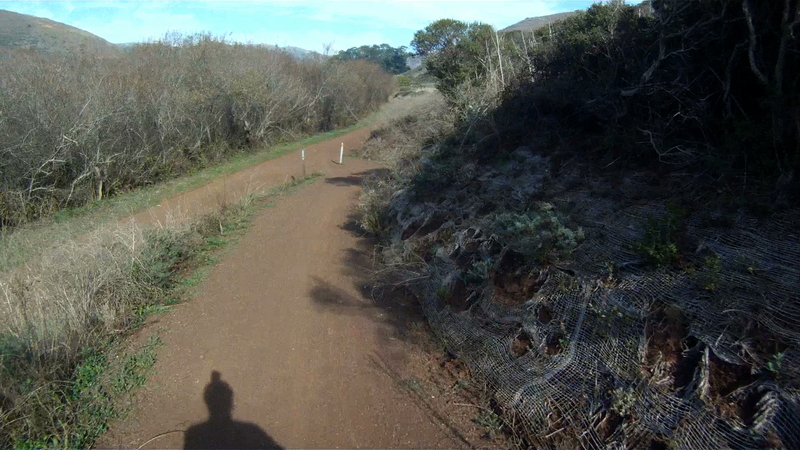 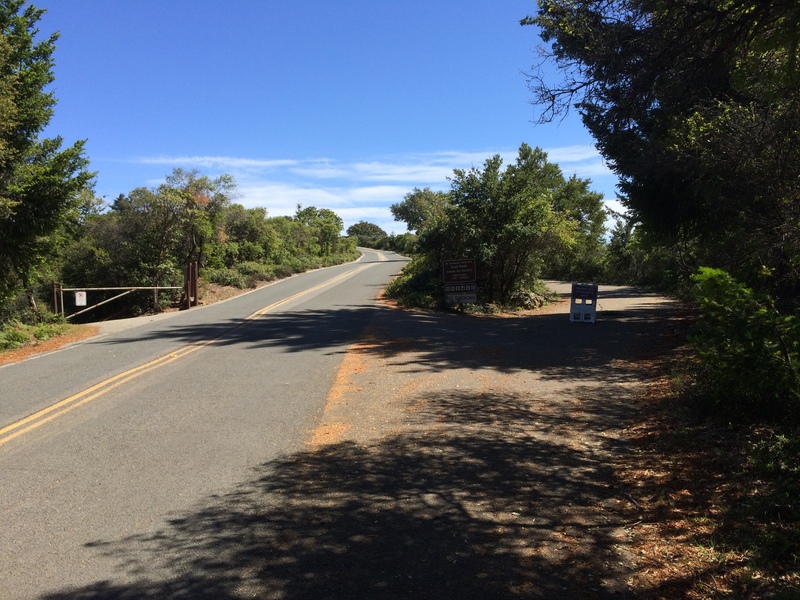 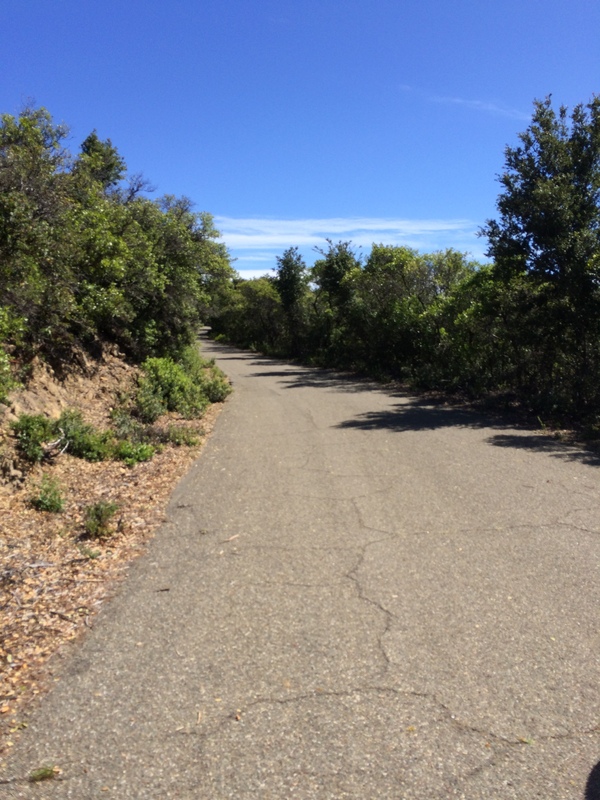 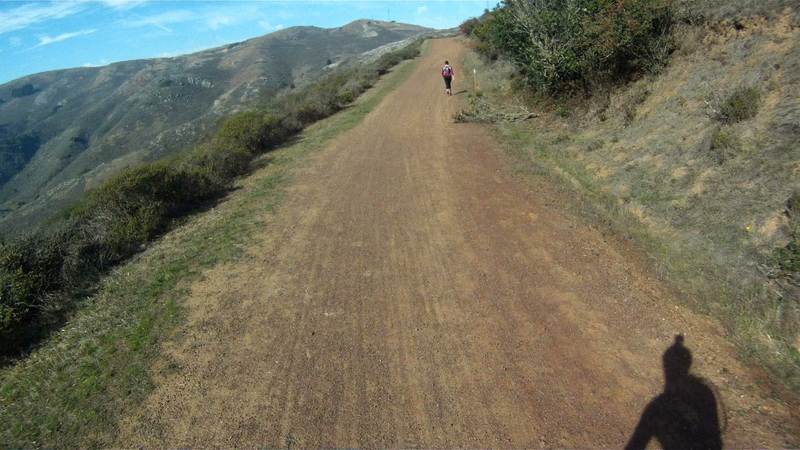 If you miss the turn (like I did on this particular run), continue straight on the Miwok Trail and you will end up in a parking lot along Bunker Road. 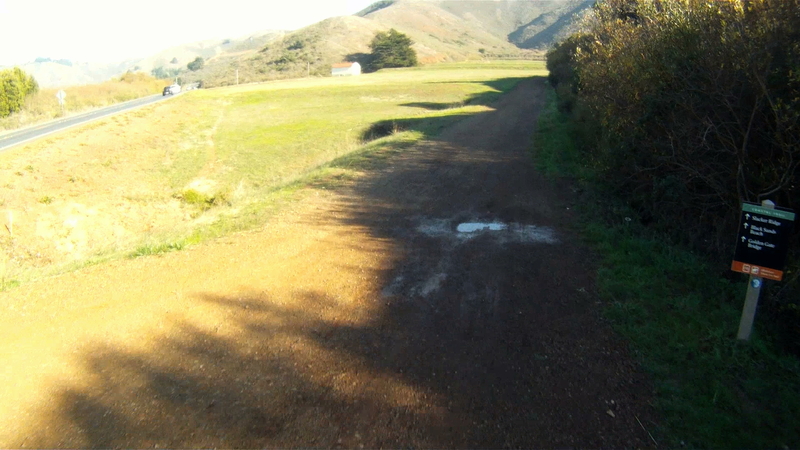 Make a left on Bunker Road and follow it to the entrance to the Coastal Trail on your right, the same trail you came down on our Bobcat Trail route. 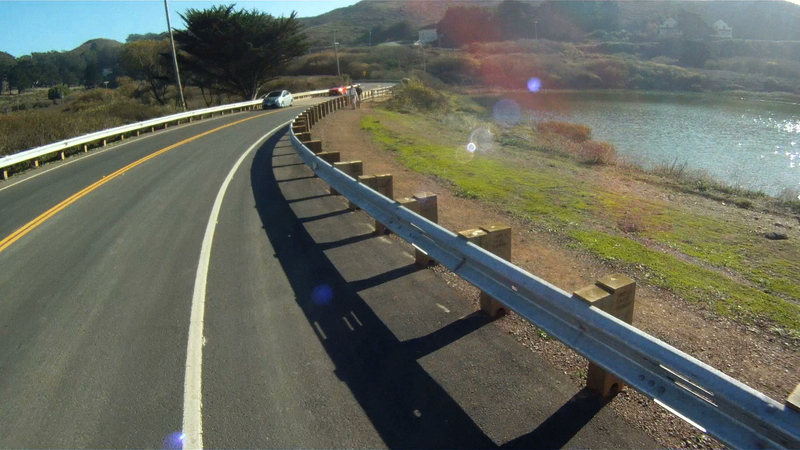 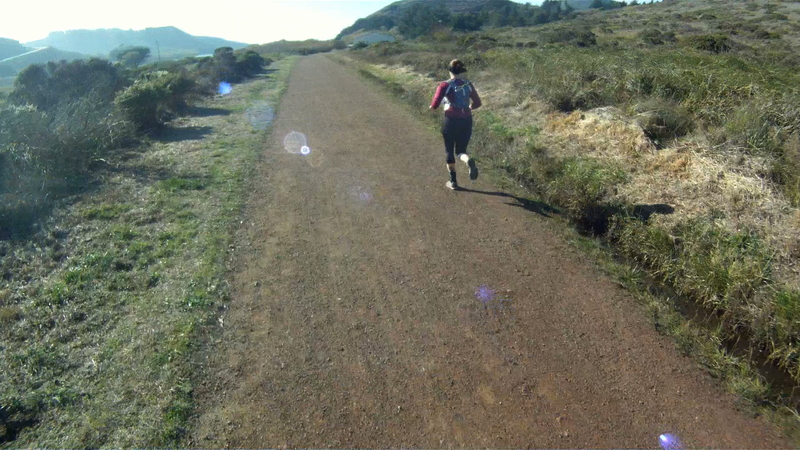 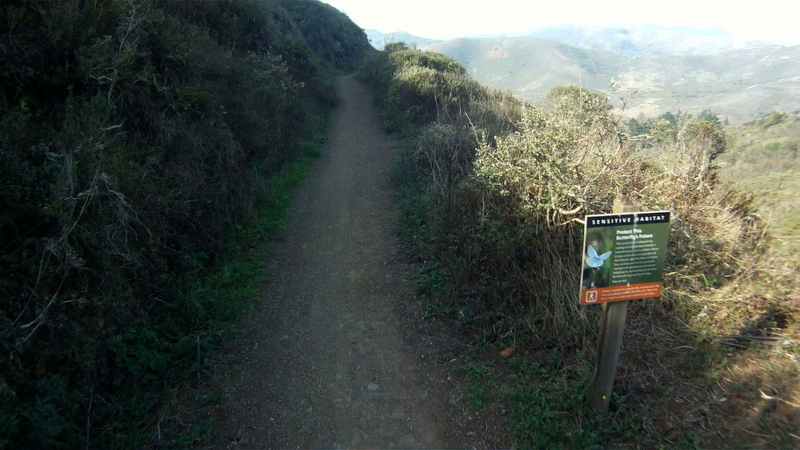 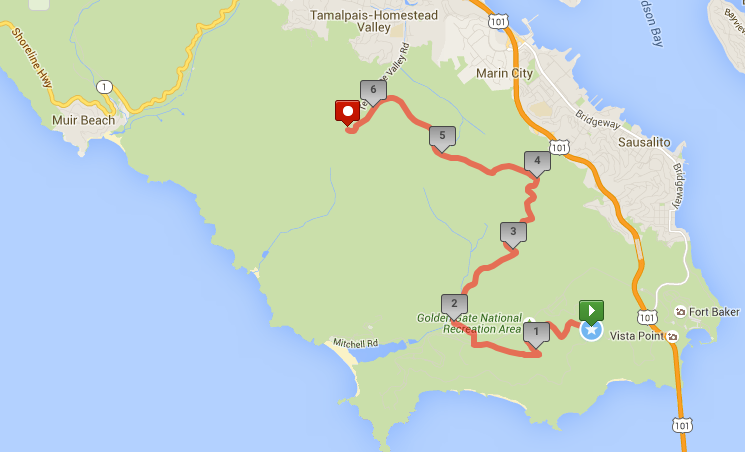 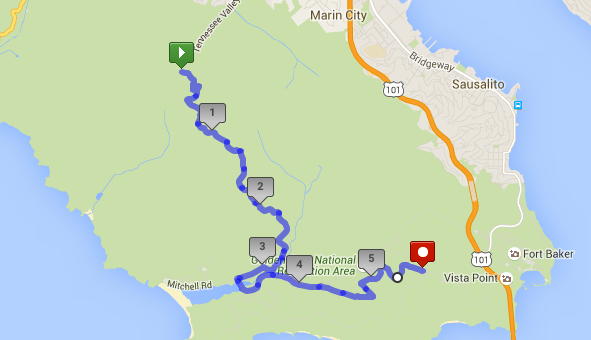 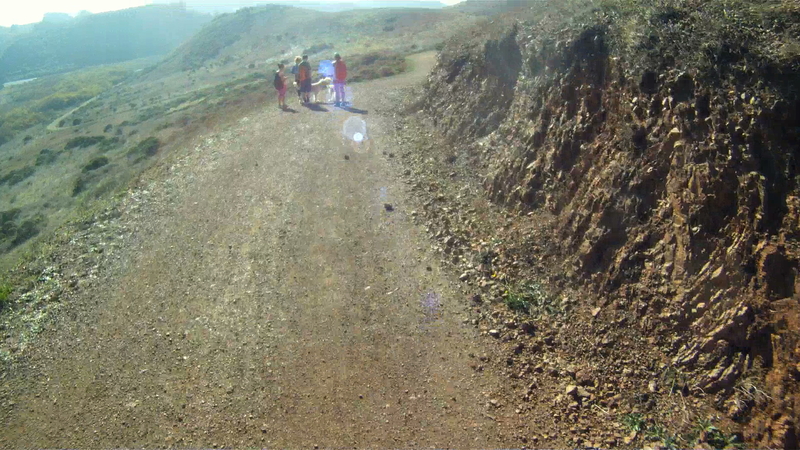 Follow the Coastal Trail as it climbs its way back to the roundabout in the Marin Headlands. 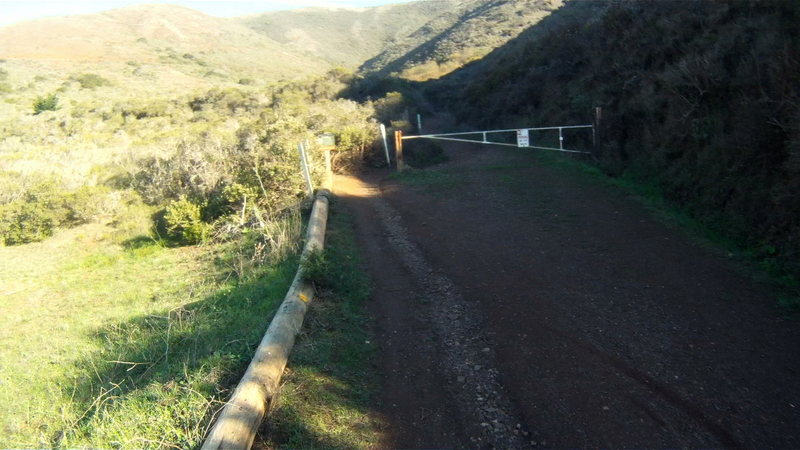 Go through the gate and start up the trail. 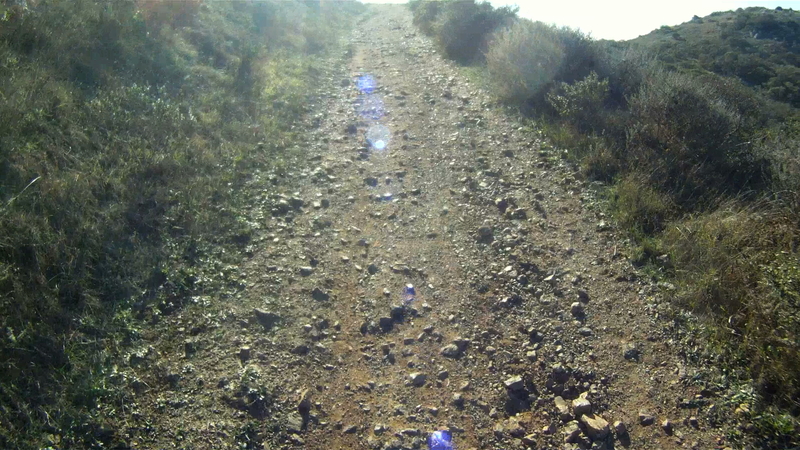 As you experienced on the way down, this trail narrows in places and has loose rock in others. 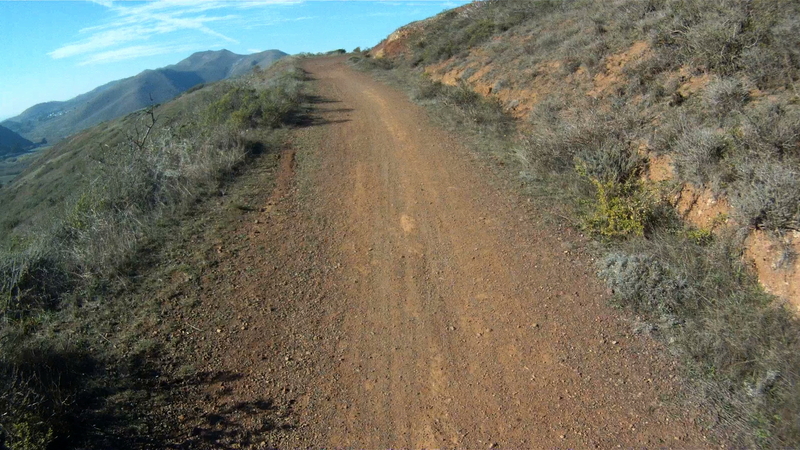 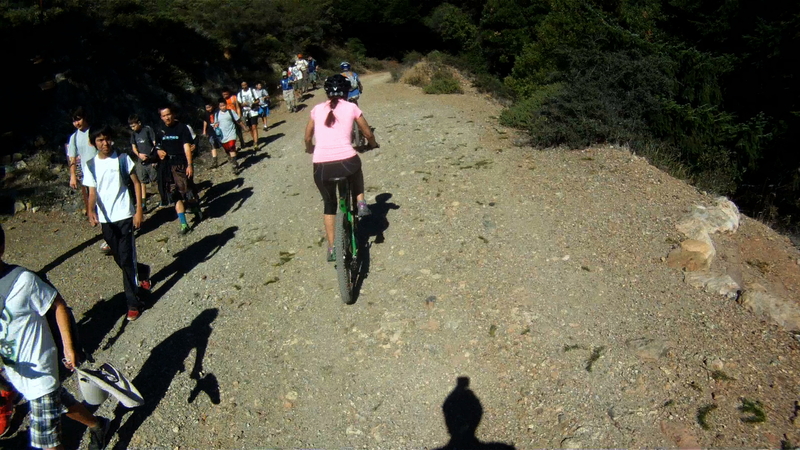 Continue winding your way back up the trail and through the narrow single-track. 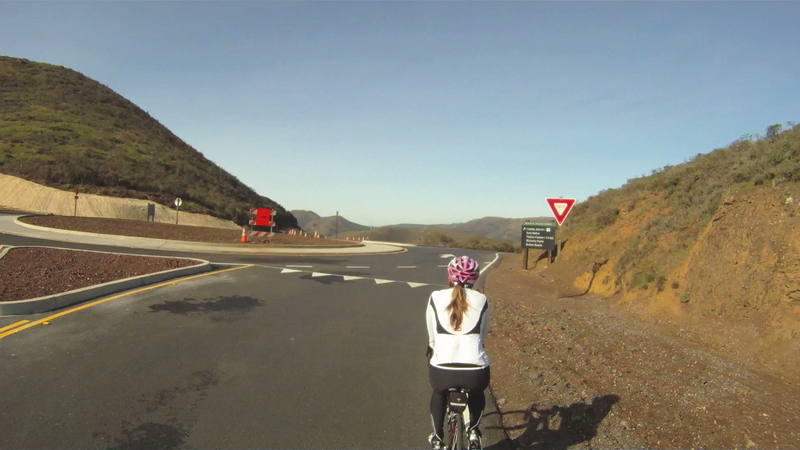 At the top of the climb, you’ll be back at the parking lot next to the roundabout and will be able to see the familiar red paint on the North Tower of the Golden Gate Bridge. 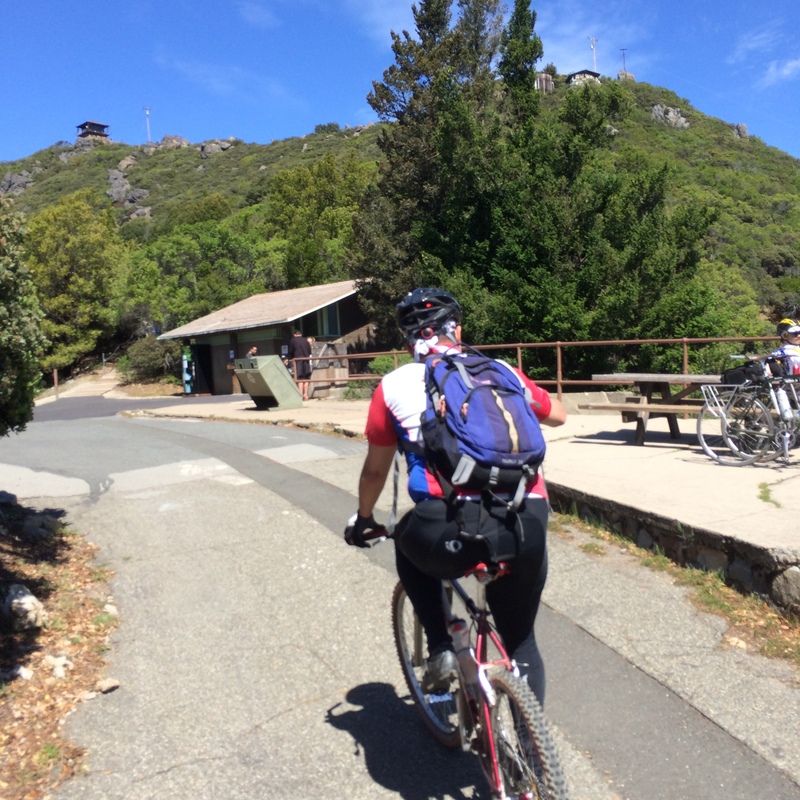 While challenging, the Miwok Trail is rewarding not only for the views, but also the sense of accomplishment once you realized what your mountain bike and you can do! 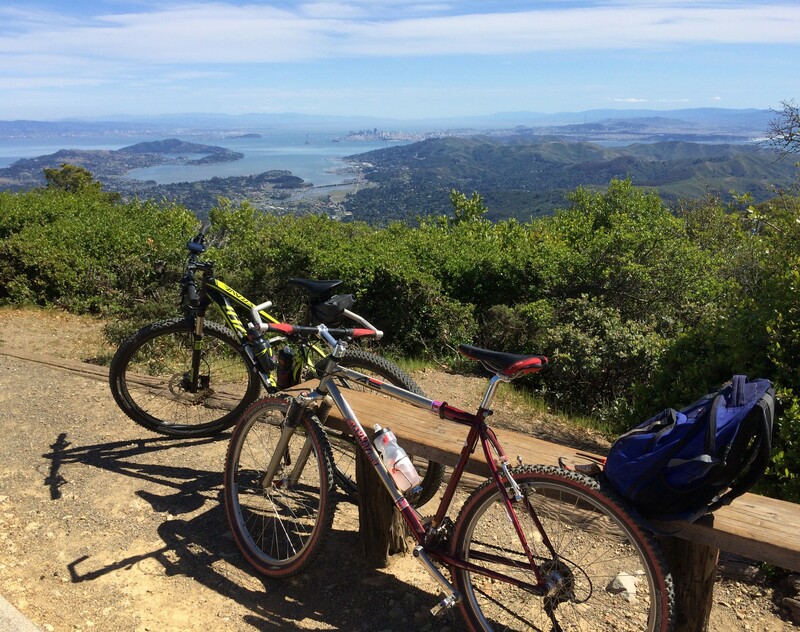 Enjoy and stay safe.